Parking is available in the International MarketplaceThe International Marketplace Garage is located at Kuhio and Walina; the entrance is adjacent to Saks Fifth Avenue. International Market Place"s bus stop is stop 26 (Seaside & Kuhio) on lines 2, 2L, 13, 19,2,20,22,23,42,8,98A,and E. It is accessible seven days a week. Visit thebus.org for bus schedules, route information, and pickup/drop off locations. There are a variety of trolleys that stop at International Market Place. 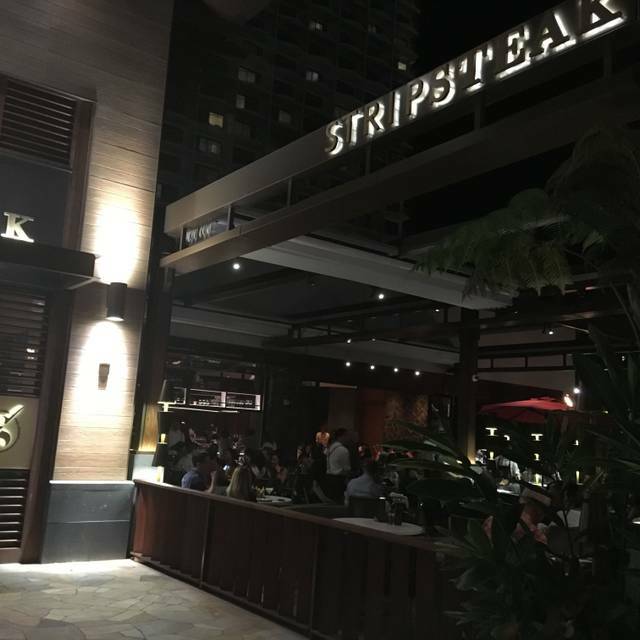 StripSteak by Michael Mina - Waikiki is a great location to host Lunch and Dinner events. The lanai and dining room are available for private events and buyouts. 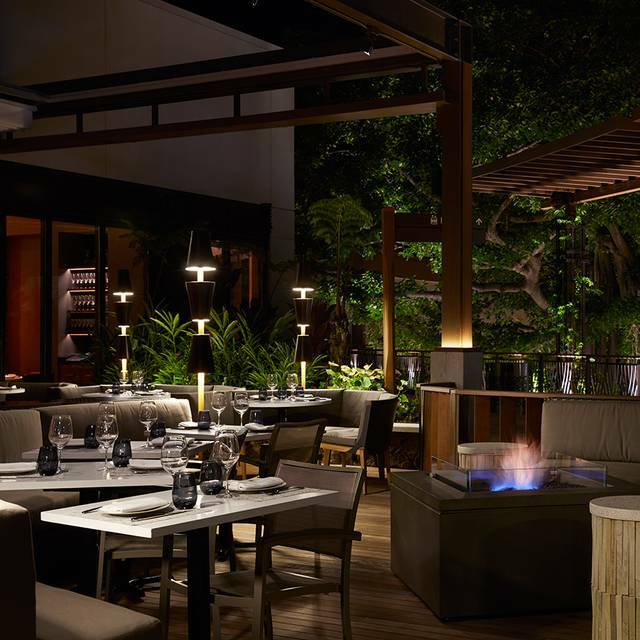 Please contact our event manager at events@stripsteakwaikiki.com or please call 808-342-5018. 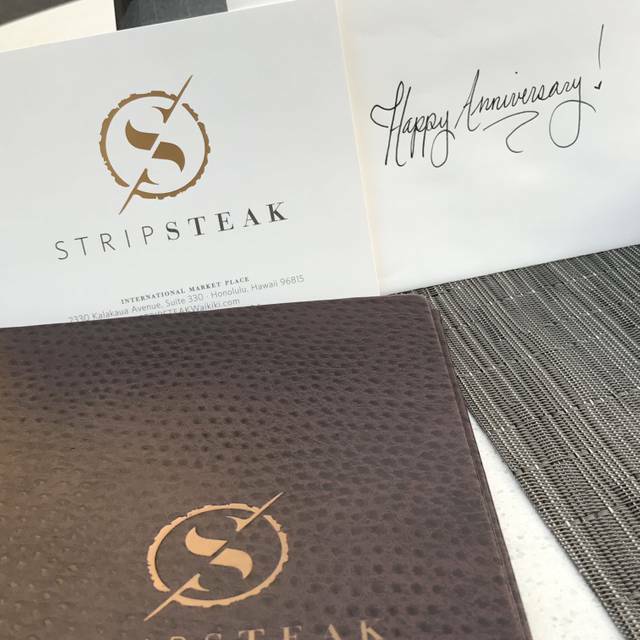 STRIPSTEAK is available for catering requests. Please contact us for more information. 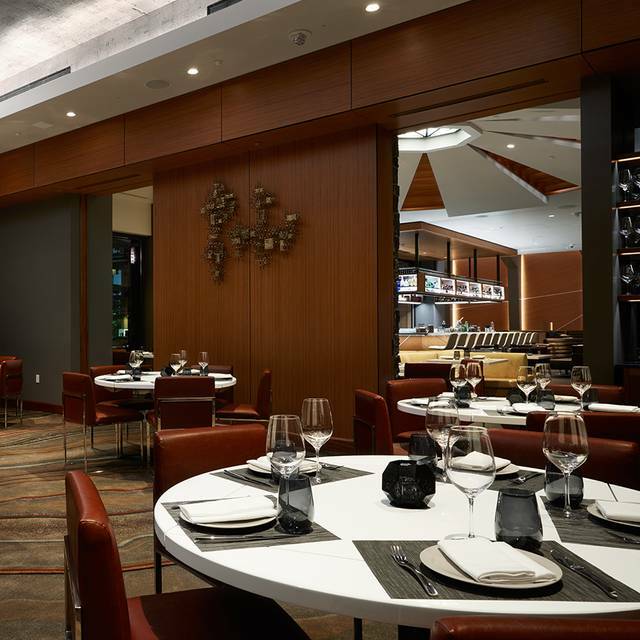 Encompassing all the tradition of a classic steakhouse, StripSteak by Michael Mina - Waikiki is a modern twist on the classic American steakhouse. 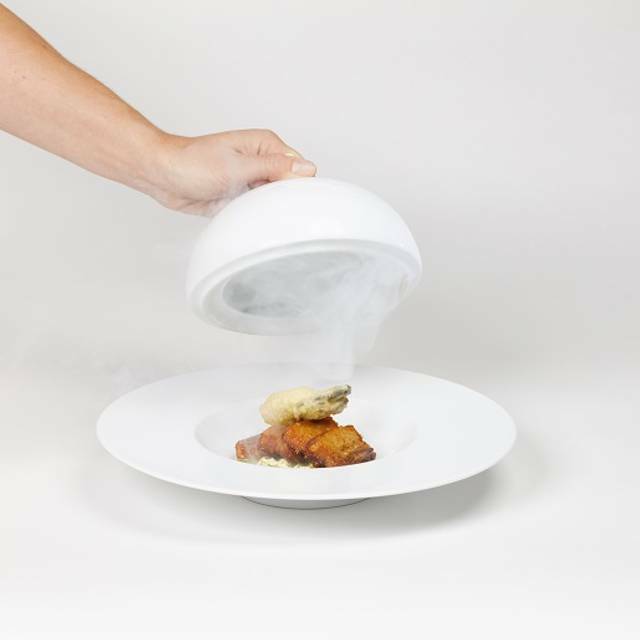 Chef Michael Mina has created a fun and innovative menu, bold in flavor and diverse in inspiration. A highly seasonal and ever-evolving menu reflects the best of local ingredients and global flavors. 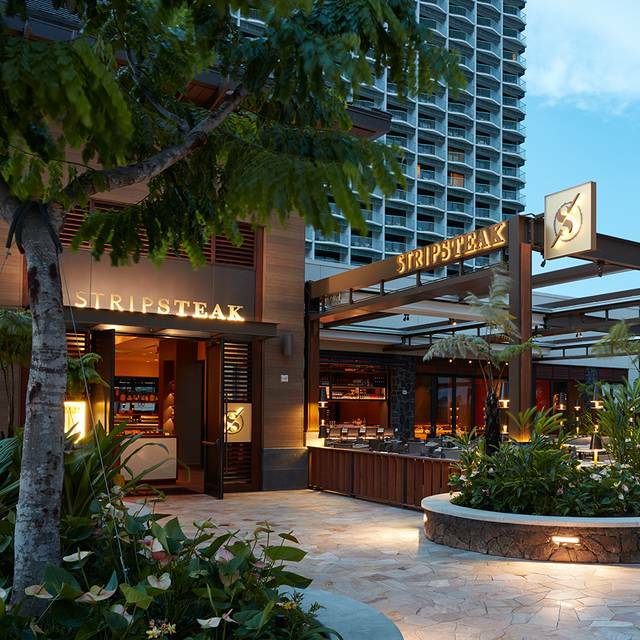 Precision at its finest, StripSteak - Waikiki will feature a menu with all natural certified Angus beef, American Wagyu beef and Japanese A5 Wagyu beef. 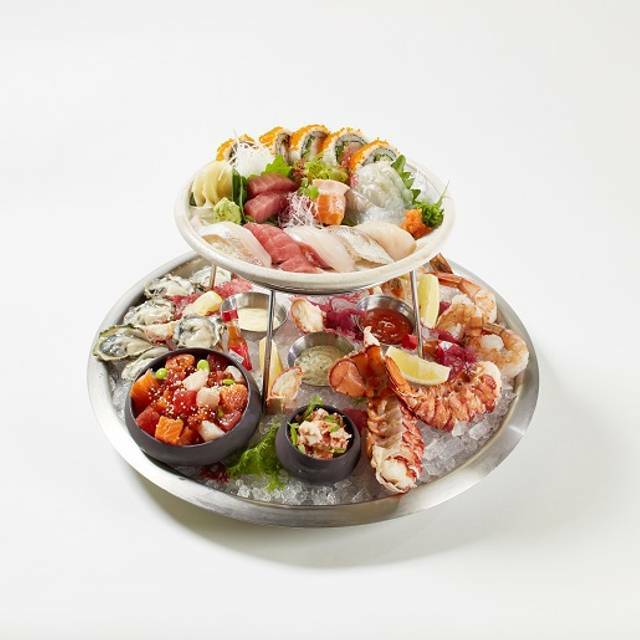 Other signature offerings include “Instant Bacon” with kurobuta pork belly, Seafood Tower, with king crab, a whole lobster, oysters, and more, and Michael’s Lobster Pot Pie served table side with brandied lobster cream, hamakua mushrooms and black truffle. Be sure to visit our sister restaurants, The Street, A Michael Mina Food Hall, and Mi Almita, both located on the Ground Floor of International Market Place. Second time for me here, it was more memorable. The food was very good from appetizer to dessert. Due to health concerns (no red meat), I had the jidori chicken and added the wasabi horseradish crust. Perfectly seasoned and super tasty, wasn’t expecting to enjoy chicken as much as I did! The food was delicious & the service was excellent! The atmosphere was good but servers were busy and less attentive when we seated after 19:00 dinner reservation. Maybe you could have better service at earlier time?? The sommelier recommended a great red wine and the scallop nigiri is a must-try! First, the service and support from the staff is outstanding. The food is good, not great. The value is just not there. Even doing a special menu for Restaurant Week and adding one order of 6 oysters and only one drink each it ran $230 for two of us before tipping our very good server. My steak was rather fatty (and not in the nice marbled way), my girlfriend’s salmon was over-cooked and a rather small serving size for the price. I guess it’s worth it to give it a try, but just don’t expect to be wowed. Went for Happy Hour "date". We got great service at the bar and the selection of wine, bevvy, food and dessert was great. Very attentive and professional. I brought my wife to dinner for our anniversary on recommendation from a friend. We left in awe of the food and service. Definitely a dinner to remember. We highly recommend. For our first meal in Hawaii, our server Reynaldo was a great welcome. Super cool and helpful. A5 wagyu was amazing. Ribeye was just eh after eating the A5 first. Hard to follow that. Rest of the meal was good. Mahalo! This was a wonderful experience. From the cocktails crafted with much care. To the service and the food. The desserts were just super. The entire dinner from start to finish was super. I would highly recommend this for a great dinner. Great setting and delicious food. Great addition to Waikiki food options. Overall, a very nice dinner. Their duck fat fries.......yummmm. My husband really enjoyed the ribeye steak. He said it was seasoned and cooked perfectly. My lobster pot pie was very rich and tasty. However, I love the crust on pot pies. But since they serve the pot pie on top of the crust, it git soggy. I know to as them to keep it separate next time. Lobster tacos and tartare got mixed reviews at our table. Fabulous good and great atmosphere! Incredible staff too! Been there several times since opening a couple years ago.....service level has changed a bit....and restaurant was half empty on a Friday night. Leftover food taken away, and not returned (half of a $120 steak). Overall good...but not great for $400 bill for 2. Garlic and scallion broiled fish was excellent. The wedge salad was delicious. Definitely plan on coming back. Mahalo! 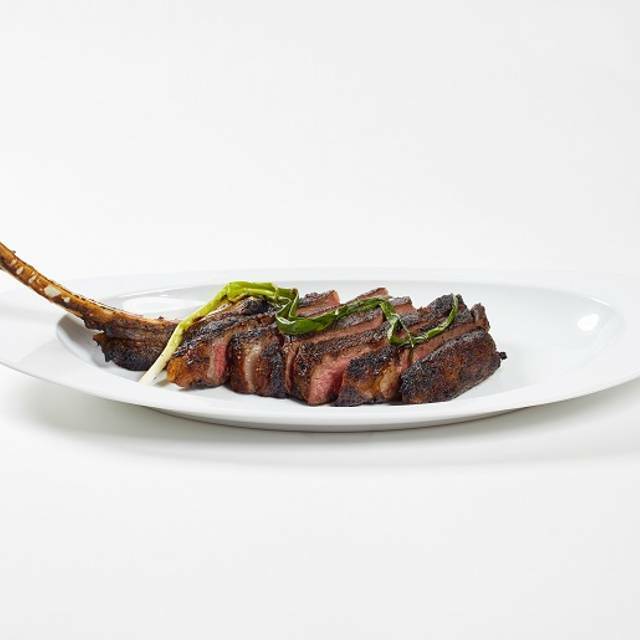 Always a fan of chef Michael Mina’s and StripSteak definitely did not disappoint. Food was good and waiter was so friendly that we had no frastlation to choose our dinner. Only one thing was bad, since my card was not used. Our party had the Ribeye and 2 filet mignons -- all delicious. Service was excellent with Lane patiently explaining everything from the drinks to sides to a party of seniors, including a 93 year old. Enjoyable birthday celebration for my husband. Great ambiance, food and service! I travel 100 nights per year and entertain, and this is amongst my favorite venues. Outdoor dining ambience was fabulous. Great service. 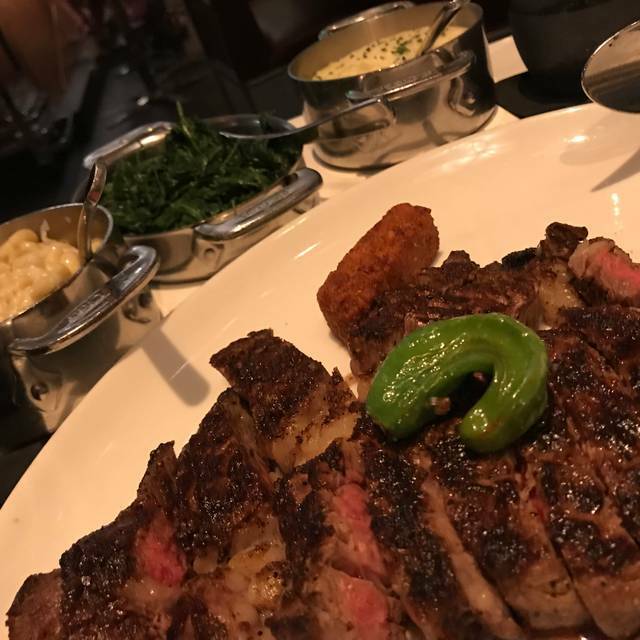 Accepted chef’s recommendations for how well Ribeye and Filet Mignon steaks should be cooked - perfect! Tasty side dishes. Husband loved his seafood choice. We got a table that was slanted so it made it hard for us to eat without worrying about utensils falling off the table. Also our seat was located by the route to kitchen door and the restroom so there was people walking by us constantly. Other than that the server was great and food was amazing ! Great food. Had the Delmonico steak and truffle Mac and cheese. Both excellent. Smoked old fashion (“the descendant” which is their signature drink) had a great presentation. Very Smokey flavor which is good but may overwhelm some. As expected everything from food to service was excellent. The food was good, but not anything to write home about--especially for the price. It is a place to be seen and for a younger crowd. We enjoyed ourselves but probably won't go back. The food was great!!!!! Loved it! Everything was great other then our tiny table! The food could barley fit on it. When we asked to be moved to bigger table they said the manager said none available when we clearly saw bigger tables open. Great experience!! Wait staff is fantastic. Food is amazing. Took wife, mom and MIL for Valentines Day. Great time had by all. Enjoyed the food! The live entertainment by Dustin Park was amazing! 1st time to Strip Steak. Perfect atmosphere & outstanding service. Our steaks came out perfect as did our side dishes. Service was also 100%. Couldn't have asked for a better dinner & professional staff! Can't wait to go back!! we were late for our reservation but they still took us. food was really good. portions were good not small. there was live music as well.. drinks were on point. Terrific dinner! They claimed a Wagyu A5 and it was! I want more. Thank you Stripsteak.